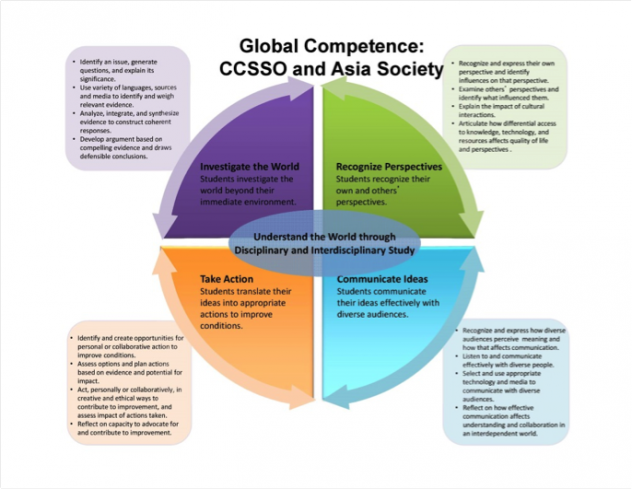 Almost every school in the United States has a vision or mission statement that address the need for developing students who will be global citizens in order to be prepared for and increasing complex and diverse globalized world. 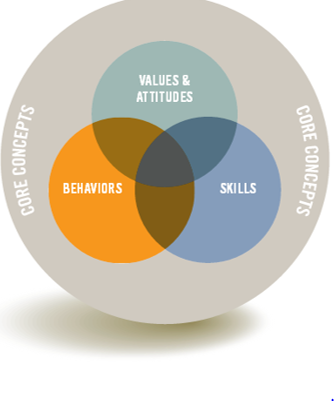 In 2010, the National Education Association (NEA) published this policy brief explaining the need for global education. 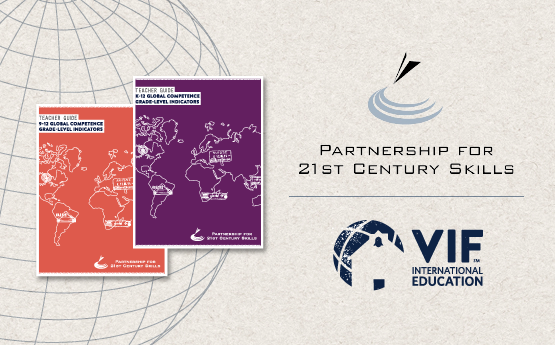 Likewise, in 2012 the U.S. Department of Education outlined a global education plan which “affirms the Department’s commitment to preparing today’s youth, and our country more broadly, for a globalized world, and to engaging with the international community to improve education.” Succeeding Globally Through International Education and Engagement identified a 2012-2016 timeframe and should be updated in the near future. 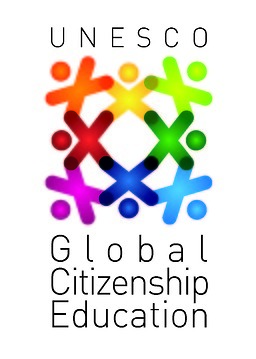 In addition to these local, national, and international voices, the space of global education is populated by non-government players. I consider Anthony Jackson’s 2009 speech at the Big Idea Fest to be one of the most compelling and lucid calls for global education. Echoing Jackson, the path to developing students’ global dispositions is through a clear articulation of competencies that define the characteristics, skill sets, and learning experiences teachers should develop for their students. 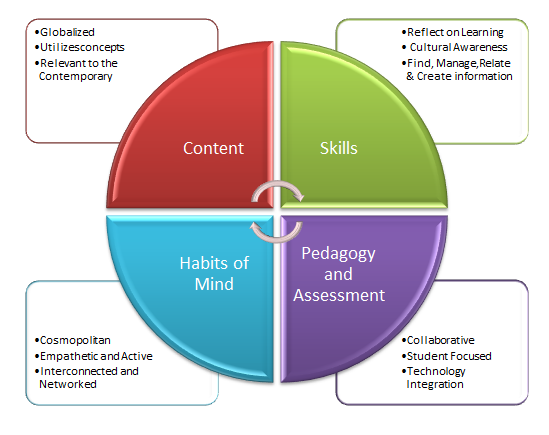 In turn, global competency frameworks have been developed for schools to use as a tool to enact this vision of education. I have provided a few of those models below for your use with the U.S. History in a Global Context project.